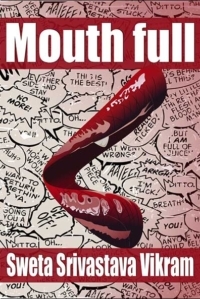 Mouth Full is a collection of personal essays and poems chronicling the emotional journey of modern-day immigrants as they move to a new country, assimilate in the culture, and learn a different way of life. Somewhere in all of that movement, the experiences teach them to see the strengths and weaknesses of both the homeland and acquired land. It also raises concern about the socio-cultural issues and racial expectations in the two nations. Told from the perspective of a modern-day Indian immigrant as social questions, observations, and commentary, the essays and poems are funny, bold, sassy, and uninhibited.